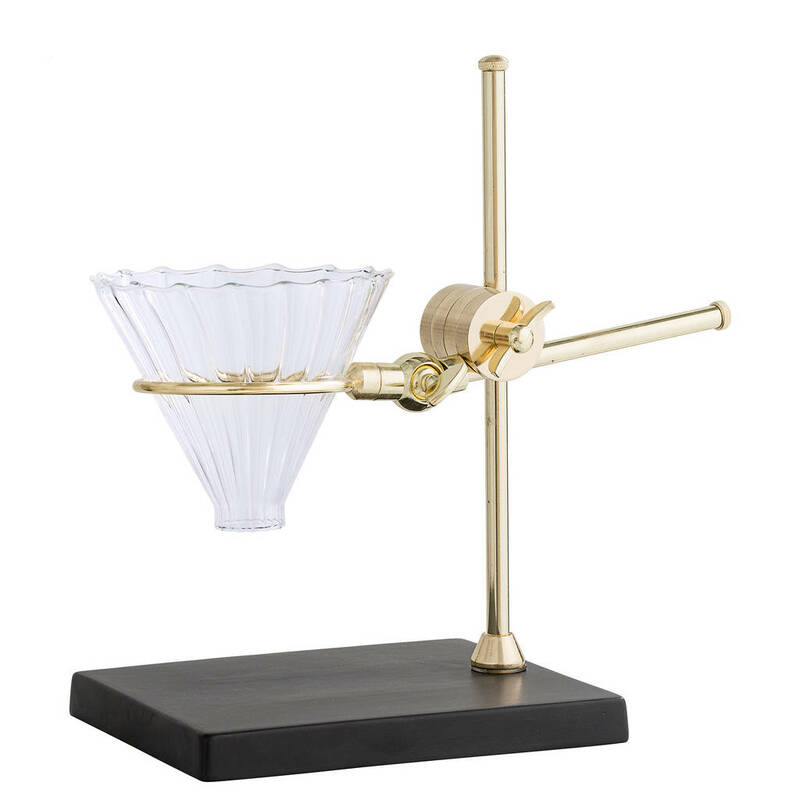 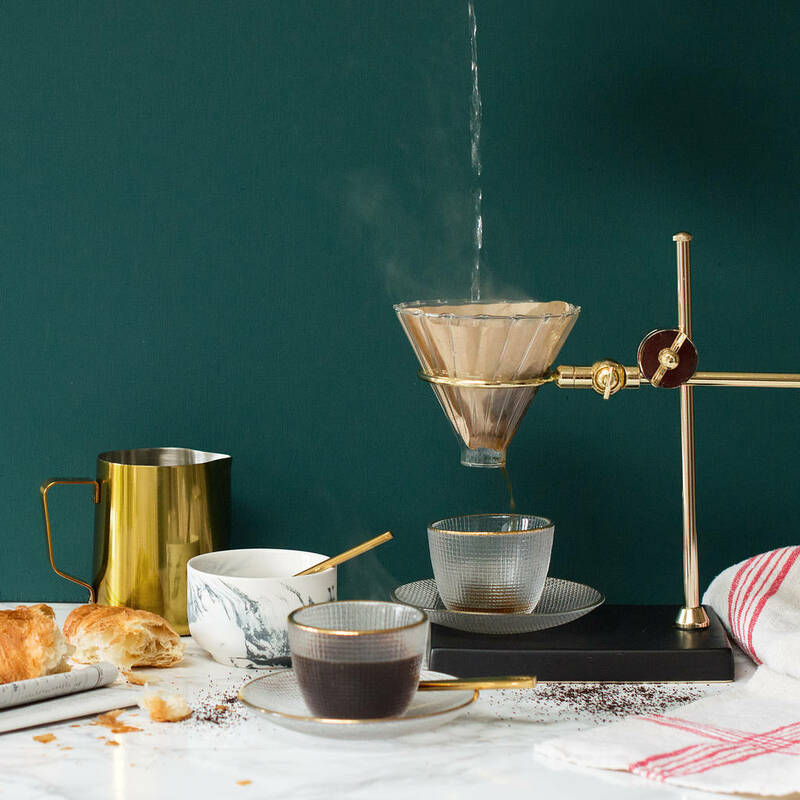 Pour Over Coffee Drip brewer with gold stainless steel frame. 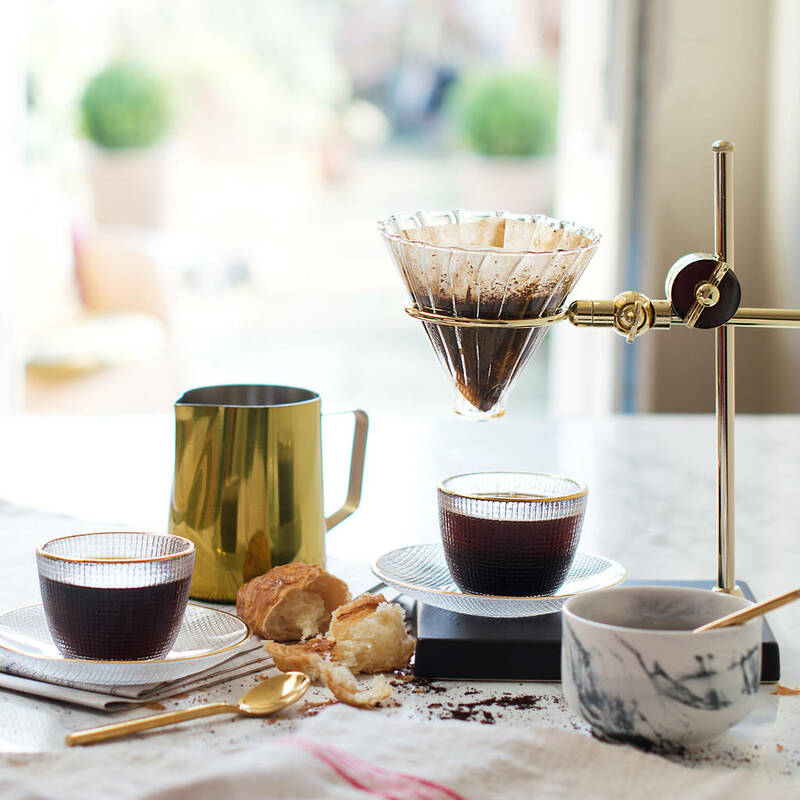 Height of the drip can be altered, simply by unscrewing all of the parts. 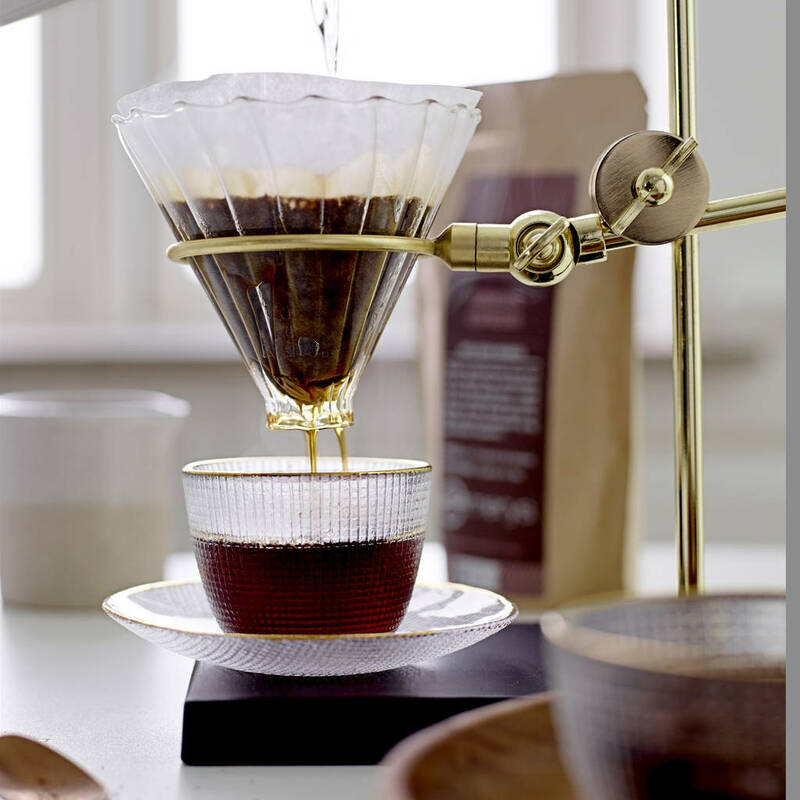 Stainless steel with a gold finish, glass drip and ceramic base. This product is dispatched to you by Audenza.